directly from VCR composite video output. 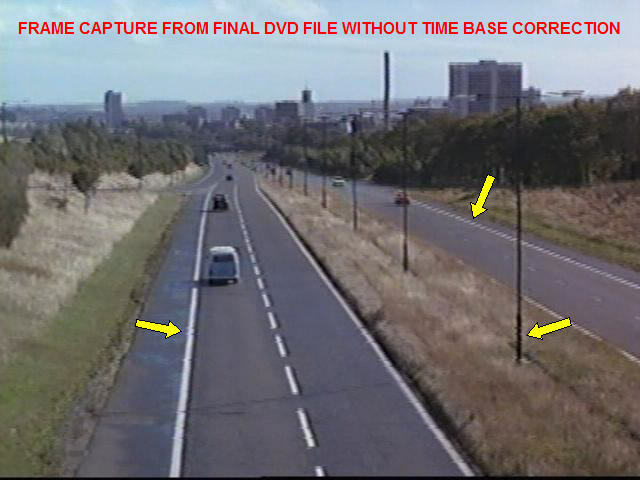 from MPEG-2 (DVD) conversion of movie. VCRs are imperfect. The rotating head scans an analog magnetic signal that becomes the basis for the scan lines of a standard NTSC composite video signal. Due to tape wear, misalignment of the heads, or other mechanical problems, the individual scan lines sometimes don't synchronize properly with the remainder of the video frame. When the problem is severe enough, the picture becomes unstable and it isn't even viewable. When the problem is slight, you will see anomalies that arise from improper horizontal synchronization. Each video frame (image) actually consists of individual odd- and even-numbered scan lines. The odd-numbered lines are scanned on the screen to make a "field", then the even-numbered lines are scanned to fill in the image. The image below shows in detail a single scan line signal, starting with the synch signal ("synch tip") that tells the system when to begin each line. Each scan line should take exactly 63.5 microseconds. (That's about 60 fields per second...or EXACTLY 29.97 frames per second.) 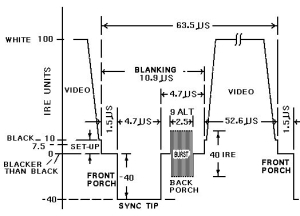 If the signal read from the tape is slightly irregular, the video information in a scan line might not line up perfectly with the lines above or below it. It's as if you cut a picture into horizontal strips and then tried to align them again...you may get them lined up perfectly, but chances are good that at least one or two strips will be offset slightly to the left or right. The result is what you see in the two images at the top. Each image was captured from an original VHS videocassette of Killing Time (1998) played on a typical consumer-grade Mitsubishi VCR. The first image is from the original uncompressed 640x480 AVI file I captured using a Leadtek Winfast PVR 2000XP Expert card. 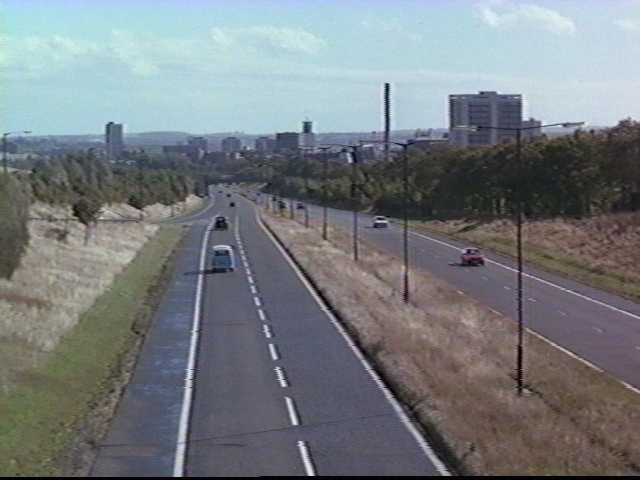 The second image is from the compressed MPEG-2 files after conversion to DVD format using TMPGenc 2.5. Notice the scan line anomalies in the lines on the road and the base of the light posts. It is obvious that some of the lines are offset relative to the lines near them. Very irritating. There are several relatively expensive solutions for this fairly common problem. The most common way to fix this is to use a video time base corrector (TBC). 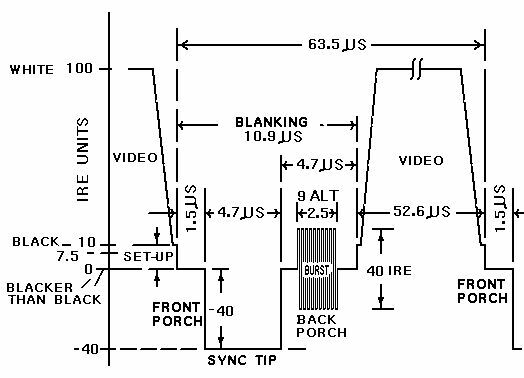 A TBC breaks the video signal down, either by a few lines or an entire frame at a time, and then rebuilds and regenerates the signal with new synch timing and a more accurate synch interval. 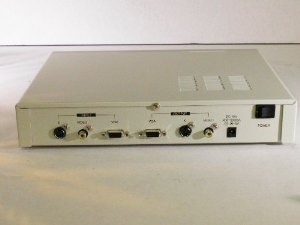 TBCs are used in broadcast studios to synchronize the video from several different sources, so they can switch from source to source smoothly without visible transition anomalies. These broadcast quality units are usually rack-mounted units that require a separate, independent synch signal source for a reference. It's difficult to adapt these to consumer use and they cost a bunch, even used. Since a TBC often significantly improves video quality from a VHS tape, some VCRs have TBC processing built-in. Most JVC DigiFine units and some VCR-DVD dubbing decks have this type of circuitry. But, of course, I didn't want to buy a new or used VCR to see if I could improve things. It turns out that this is also a common need for video conferencing. VideoLabs (formerly Emergent, Inc., and now ClearOne) makes a unit called the Video Scaler Pro, which is a video to computer graphics converter often used for video conferencing. However, it does a lot more than that. It will accept NTSC 3.58, NTSC 4.43, PAL BDGIK, PAL M, PAL N, or SECAM inputs and convert them to NTSC 3.58, NTSC 4.43, PAL BDGIK, PAL M, PAL N, or VGA output. For VGA output, you can select up to 1024x768 resolution, which is much higher resolution than the original composite video input. The nice thing about the Video Scaler Pro is that the TBC function, along with the complete regeneration of the video signal, occurs even when you are simply feeding it NTSC input and getting NTSC out. What's more you can feed NTSC composite video to the standard RCA input on the back and use the S-Video output for your video capture. Nice! The improvement using the Video Scaler Pro is astounding! Take a look at what happens when I route the composite video output from the VCR through the unit, using the S-Video output as the source for my video capture card. (In all other respects, the two images were created and processed in exactly the same way.) The arrows are pointing to some of the more glaring problems with the direct video capture. 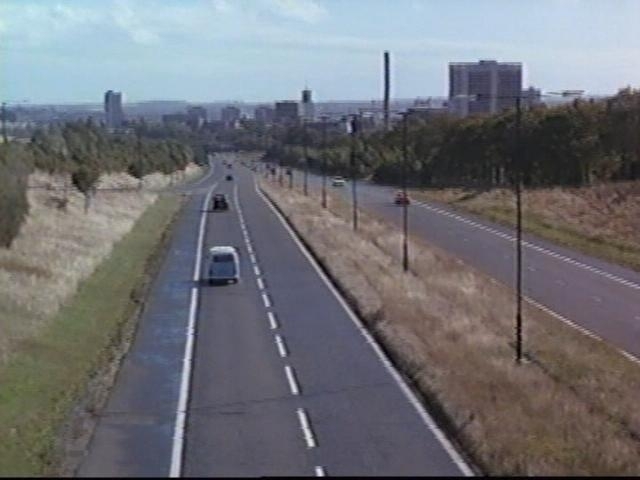 They disappeared (or were significantly reduced) when I used the Video Scaler Pro with its TBC. The image even appears to have a bit more detail. Here are a couple details from the images that illustrate the improvement even better. There are still some problems with the raw video captures, but I can reduce them with some judicious filtering and video processing using the VirtualDub filter set. The best part of the whole deal is that you can usually find the Video Scaler Pro on eBay for less than $60! I got mine for $27 and it appeared to be a brand-new unit, complete in the original box with all accessories and the manual. The seller had several of them available. I just checked eBay again and there are a few listed for only $55 with "Buy It Now". These units sold at B&H Photo and other online dealers for $750 to $850 as recently as last year. (My unit is from 2004.) The ClearOne unit is selling for more than $800 currently, and it appears to be exactly the same unit. 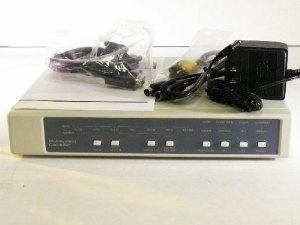 Whether you're capturing VHS video or viewing videos on a high-resolution monitor/display, I think you'll find the Video Scaler Pro to be a handy little item. Write me if you have any questions about it.